Are you considering a career in phlebotomy? Good choice! Phlebotomists are essential members of the healthcare community. They interface with patients, perform important diagnostic tasks, and can be found in a wide range of environments. 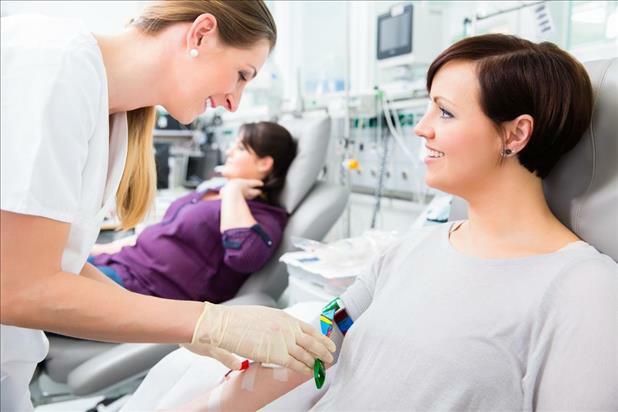 Phlebotomists are expected to be in increasingly high demand during the next few years. In fact, phlebotomy opportunities are expected to grow much faster than average, with a projected 25% increase in employment from 2016–2026. But what is a phlebotomist, exactly? What does a phlebotomist do? And how long does it take to become a phlebotomist? Read on to discover the answers to your questions, and find out if a phlebotomy career is right for you. Phlebotomists are healthcare technicians who draw blood from patients and store it for a variety of uses. They work well under pressure and pay close attention to detail to maintain accurate records and perform all necessary procedures in a timely manner. The most common work environments for phlebotomists include hospitals, medical laboratories, blood donor centers, and doctors’ offices, though any healthcare setting—even veterinary practices—may employ them. Depending on where they work, phlebotomists may be expected to cover weekend or evening shifts. If asked “what does a phlebotomist do?” most people would simply answer “they draw blood.” However, many more skills are important for this career than you may realize. 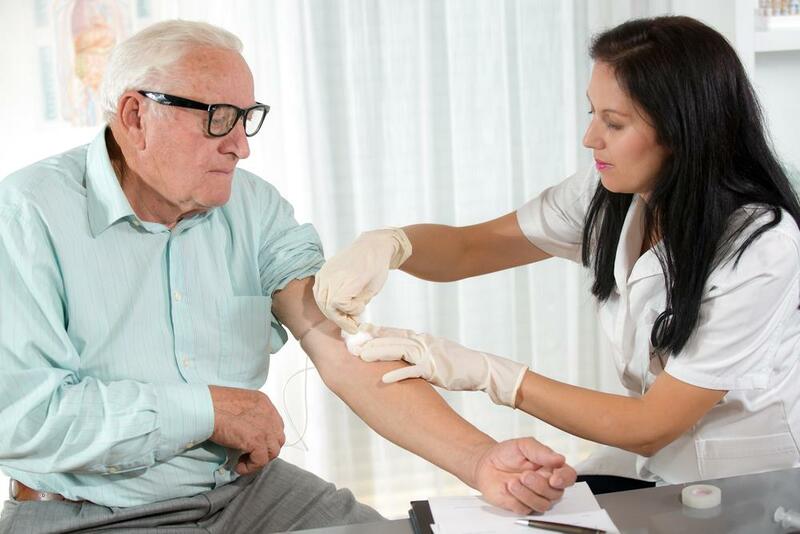 Phlebotomy necessitates a steady hand and strong coordination in order to correctly insert the needle into the vein as accurately and painlessly as possible. Because many patients may be nervous or afraid of needles and the sight of blood, phlebotomists must also be equipped with the interpersonal skills necessary to reassure them. Some phlebotomists may even be expected to educate patients or answer questions regarding certain medical blood tests. Phlebotomists must be highly organized in order to properly prepare and store blood samples. They must ensure that all labels and records are correct so that samples are easily found and properly tracked. 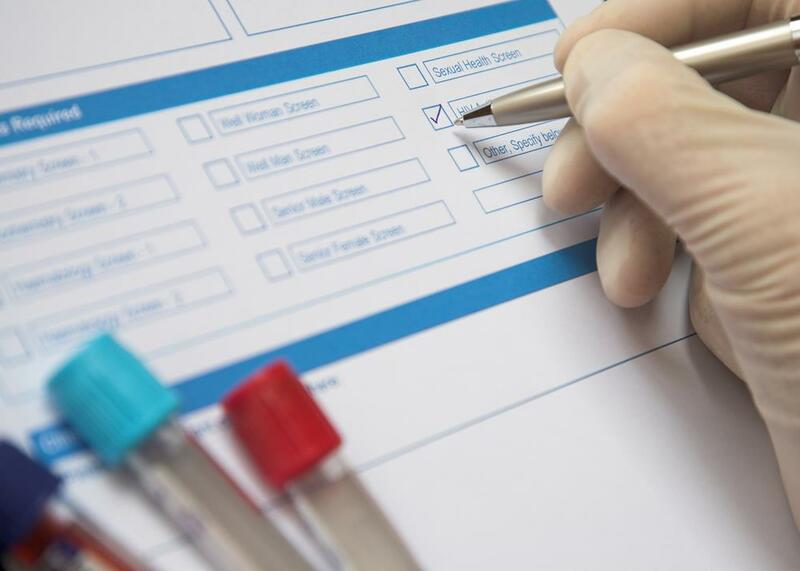 Depending on their location, phlebotomists may also perform some blood tests and analyses, reporting results to the physicians who requested them. Wondering how to become a phlebotomist? The process can vary slightly. Some states (and most employers) require technicians to hold a phlebotomy certification before they begin working in this field. Typically, this credential requires one year of post-secondary phlebotomy training, though sometimes it can be earned in just one semester. Rarely, employers will provide on-the-job phlebotomy training to new hires who do not hold a professional certification. You can find programs that will teach you how to become a phlebotomist at vocational/technical schools and community colleges. The curriculum usually consists of classes in anatomy, physiology, and medical terminology, as well as laboratory and clinical practice. What are the Options for a Phlebotomy Certification? There are different types of phlebotomy certifications, awarded by various credentialing agencies based on education, experience, and test scores. For help determining which certification is right for you, review the list below. The CPT certification is currently the most popular type of phlebotomy certification. Depending on your state, there may be a variety of tiers associated with this license. California, for example, offers options ranging from Limited Phlebotomy Technician to Certified Phlebotomy Technician 2 to fit your level of experience and training. Eligibility for the RPT certification may be earned either through completing an agency-approved program or by having a certain number of hours of on-the-job experience under your belt. You can qualify for NCPT certification by meeting certain educational or experience-based standards. There is also an option for those who have completed their phlebotomy training through the military within the last five years. PBT certification is available for those who have completed an approved program, those with work experience in a laboratory setting, and those who with other medical degrees that included significant phlebotomy training. The median annual salary for phlebotomists is $33,670. Outpatient care centers tend to offer the highest wages, with a median salary of $36,970, followed by medical laboratories with a median salary of $35,330. If you enjoy working in a medical setting and interacting with other people, a career in phlebotomy may be for you! Look for phlebotomist opportunities in your area or across the country on iHireMedTechs.